The announcement concerned integrations to three mobile services, including Uber, Instacart, and Gogobot. In the case of Gogobot, HomeAway has announced its investment in the $20 million, Series C investment round, with Mr. Sharples participating as a board member. Uber’s on demand services for transportation will be integrated into HomeAway’s mobile app, initially in the United States, but with plans to serve destinations around the world. Whether a traveler does or does not have an account, the link in the mobile hospitality app transfers the traveler from Uber to Glad to Have you. If a traveler already has an Uber or Instacart account, then the traveler can use that existing account. This is aimed at creating another vacation convenience for travelers. Instacart will provide guests with the opportunity to stock their vacation rental home’s refrigerators on demand, which means that vacationers can jumpstart their vacations without tedious trips to the store. 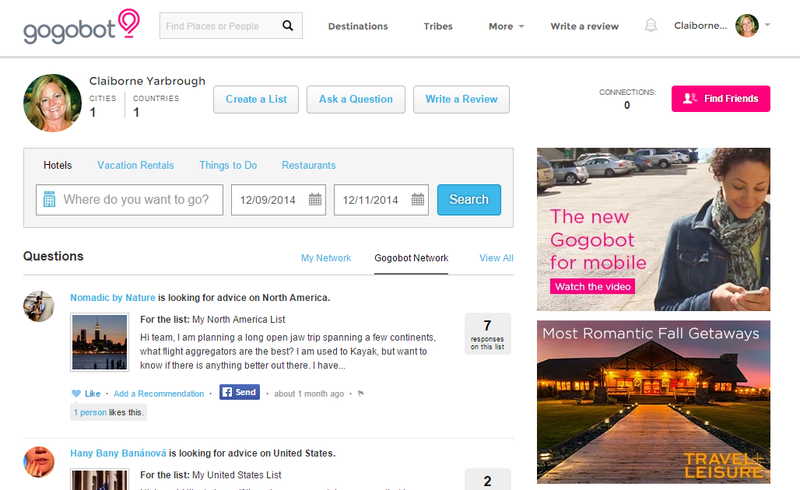 HomeAway plans to integrate Gogobot’s reviews and destination guides into HomeAway apps and websites. They will also leverage HomeAway’s vacation rental owner-created “Insider Guides” will get greater visibility on Gogobot properties. Overall, this is seen as a move for HomeAway to create more personalized vacation experiences for their guests. Sharples indicated that the direction is “to manage more of the experience, not just getting buyers and suppliers together". Barefoot’s Ed Ulmer attended the conference and found that the industry’s innovators are definitely focusing on activities. “Innovative companies, even if they are small, can leverage this trend,” notes Ulmer. “Barefoot clients can use our concierge tools, vendor access, guest access to create concierge services that provide guests with the ability to create locally recommended vacation experiences as well as work with our link through Glad to Have You”. my new gogobot account... join a tribe.